The impact of twitter on the local media has been seen this past weekend involving the Gordon Fox saga. Instead of going to news sites or waiting for TV news, the action on the FBI raid and speakers race was playing out in real time. One piece of information shared became a feeding frenzy of confirmations or denials by the players involved. Even Bill Fisher admitted in a tweet, twitter has changed the local landscape. Even on a Saturday night, long after media companies has said " goodnight" , the twitter newsroom continued at a rapid pace like a scene out of " All the Presidents Men". 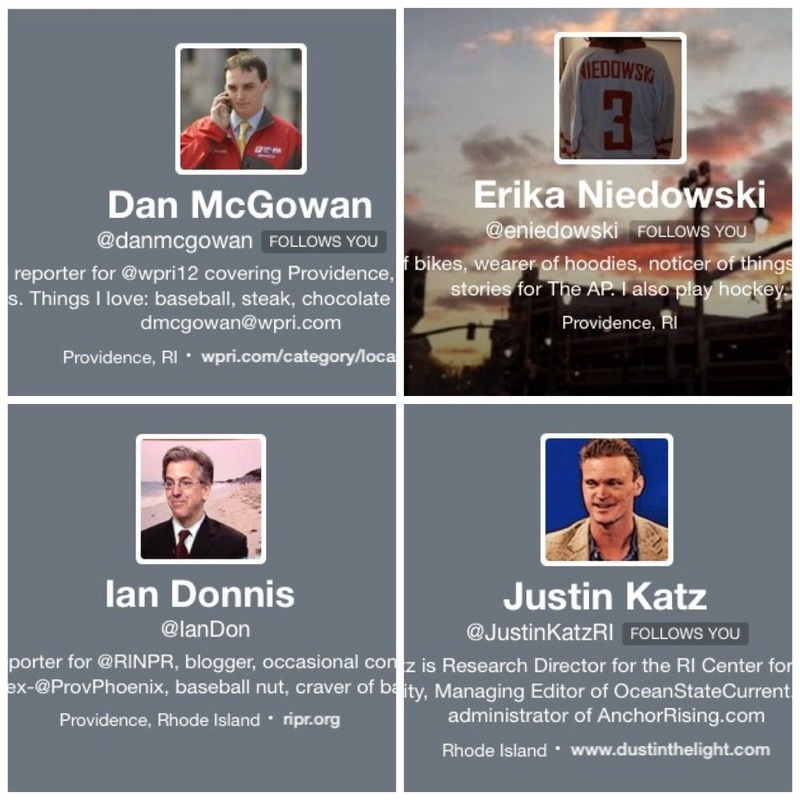 The "stars" of TV news( the anchors) are also nowhere to be found in the Rhode Island " twitter newsroom". Ted Nesi of WPRI.com may be unknown to local viewers, but he is the local "king" of twitter , with followers and information second to none. 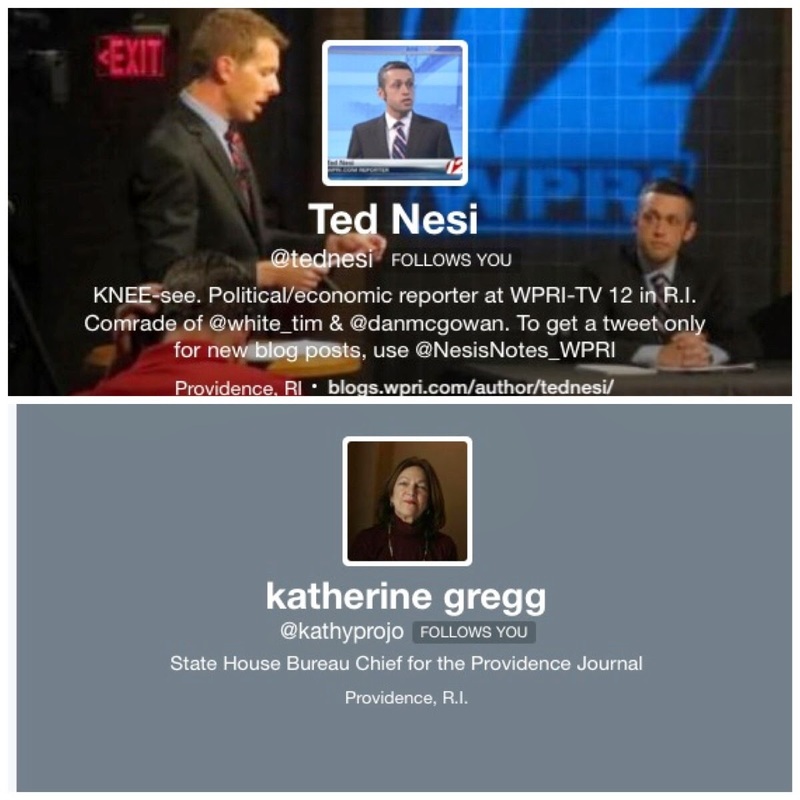 Kathy Gregg of the Projo is without question a major force and "twitter star "with real time tweets of the various players she has access to. There are no deadlines, and no waiting for " details at 11." The "reporters" are the news source, not the media companies they represent. 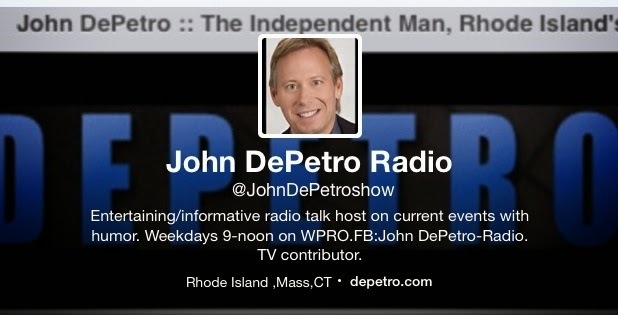 You can follow me on twitter, and listen to my radio show weekdays at 9:am on WPRO.